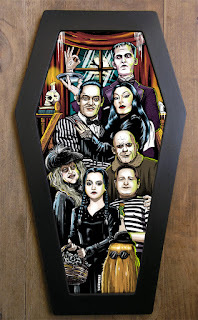 "I'm guessing they're dead, but they act as if they're alive." New The Addams Family Coffin Framed print now available in the shop! 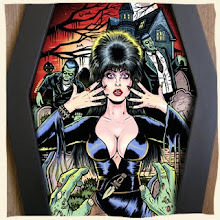 It's a perfect night for mystery and horror. 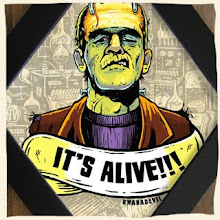 The air itself is filled with monsters! 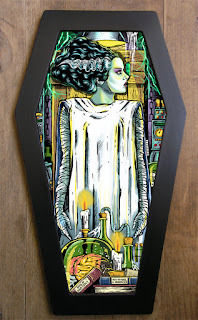 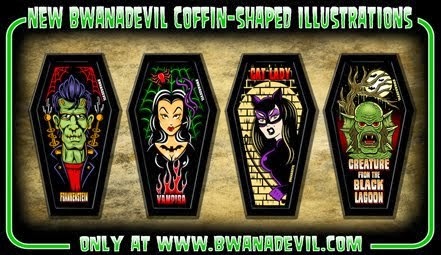 New The Bride of Frankenstein Coffin framed Art, now available in the shop!